Pranayama's Physical Benefits: Belly Toning and More! Pranayama's nose breathing filters and moistens the air we breathe, making it in its best shape for our lungs to convert it from oxygen to carbon dioxide. Yogic breathing awakens our subtle or you can call it our energy body which consists of nadis/energetic channels, chakras/wheels of energetic light, bandhas/energetic locks and more. Nose breathing where your exhale is longer than your inhale tones your belly and your middle body's internal organs. When our breath is exercised our lymph system is joyful because of the extra internal fluid transport that is a result of pranayama. Our lymph system is responsible for fighting infections and detoxification. Consistent pranayama practice keeps the lowest portion of our lungs that can go unused flexible, nourished and detoxified. Please join me for my final Summer Pranayama, Restorative Yoga and Meditation class Friday July 31st at 2pm at www.bamboomovesyoga.com in Palisades Park, NJ. Western science teaches that we have a nervous system while yoga and other energetic healing systems like Reiki, Shamanism and more suggests we also have a matching subtle body. It can also be called an energy body that can't be seen but felt. One of the many benefits of stretching your breath with pranayama is to lighten and expand our subtle body. 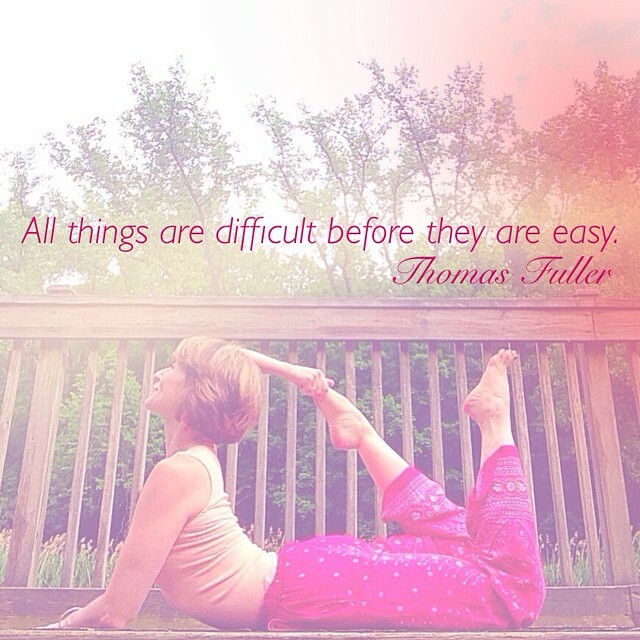 Yoga suggests that our subtle body has abilities that can transcend our physical mind and body. Our subtle body is like a radio dial that can tune into a channel and receive information. Practicing pranayama fine tunes our energy body to process what we receive and create what we wish into the physical. Similar to cleaning tarnished silver, we polish it so it can attract more light and shine. However if we are not consistent with polishing it like practicing pranayama we will loose our brilliance and lessen our magnetism to whatever it is we wish to manifest into reality. The masters like Sri Anandamayi Ma quoted above suggest there is really no end to being enLIGHTened. Practicing daily be it pranayama, yoga's physical asana practice, meditation, walks in the park or going to the gym is time where you can consciously stretch and watch your breath. This will gradually increase your ability to handle all forms of energy. This point alone is great inspiration for me to practice daily. Please join me if you can for my Pranayama, Restorative Yoga and Meditation classes Fridays during July at 2pm at www.bamboomovesyoga.com Palisades Park. All levels are welcome. Being trained during my childhood as a dancer and having morphed into a yogini/nature enthusiast, I wholeheartedly understand Shakespeare's sentiment in this quote. 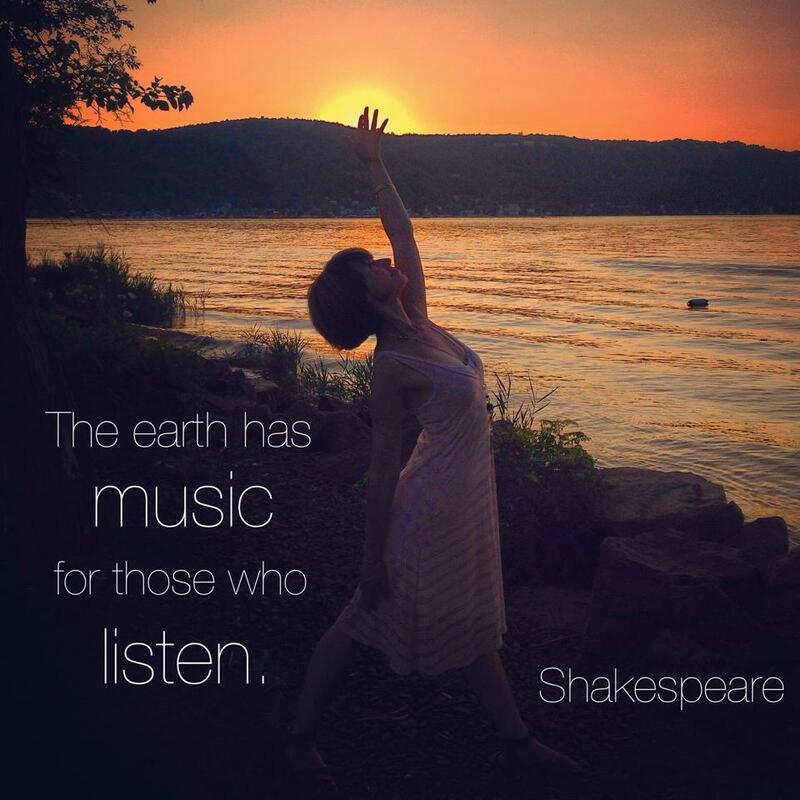 Months ago when I decided to lead the pranayama/breath exercise classes I'm currently teaching, I knew I would get to the stage where I would have to explain hearing the So Hum rhythm of Mother Earth, in other words her prana. Often we hear in yoga class that the definition of prana is a Sanskrit word that means "life force" or vital principle. Going deeper into prana's meaning, Wikipedia includes that in yoga, Indian medicine and martial arts, the term prana refers to a cosmic energy believed to come from the sun and connects the elements of the universe. This universal principle of energy or force is responsible for the body's life, heat and maintenance. Prana is the sum total of all the energy that is manifest in the universe. I find that an easy way to understand and commune with the earth's prana is to go outdoors and enter a trance state through the use of rhythm. You can dance, drum, chant, walk rhythmically or move through a vinyasa flow of yoga postures. Whatever you do let the earth's heartbeat and breath dance with your own. Feel your mind and body shift into a deeper sense of what is alive. Feel the Goddess, Mother Earth and listen to what she has to say to you. She's at her most talkative now since we've passed the summer sun's solstice which has beamed the most powerful life-giving rays of light upon her. When you are finished ground and center by taking three deep breaths. Please join me Fridays at 2pm during July at www.bamboomovesyoga.com in Palisades Park, NJ for my Pranayama, Restorative Yoga and Meditation classes. All levels are welcome. Practicing pranayama promotes confidence because when you stretch your breath your focus improves which makes your overall ability to concentrate easier. You also activate your parasympathetic nervous system. This is the part of your nervous system that eases your nerves into a cool and calm state. Stretching your breath also increases the oxygen level of your blood which creates a more energetic mood. Feeling all this goodness makes you feel like a fountain of upward flowing energy instead of a faucet that gets turned on and off. With continued pranayama practice your self confidence will be pumped up and this will initiate greater personal transformation. 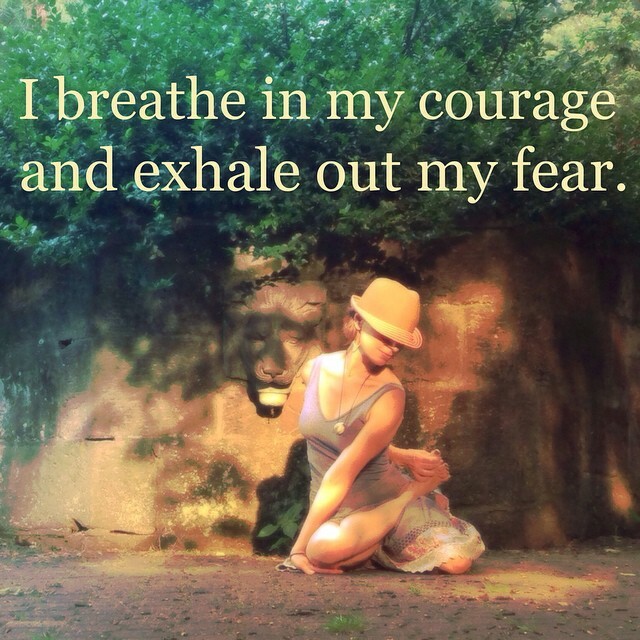 Pranayama practice is a wonderful tool to have in your self help tool box to continue being calm and courageous. Please join me if you can every Friday in July at 2pm for my Pranayama, Restorative Yoga and Meditation classes at Bamboomoves Yoga in Palisades Park, NJ. Yoga breathing is a fundamental step in practicing yoga. Pranayama is defined as "control of life force." There are many benefits to yogic breathing such as a feeling of being calm and centered comes over you along with a lightening of intense emotions plus digestive, heart and reproductive health in addition to improved sleeping patterns are to name a few positive effects of conscious breathing. 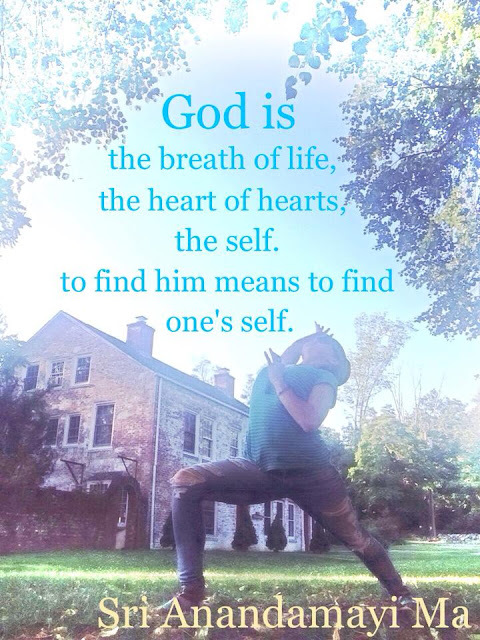 During the month of July I will be leading a special pranayama class combined with restorative yoga and meditation every Friday afternoon starting July 10th at 2:00pm for 1hr and 15min at Bamboomoves Yoga in Palisades Park, New Jersey. Understand the science in how yogic breathing techniques positively supports our nervous system. Learn and practice how to do ujjayi breathe with complete mind/body awareness. Be introduced to and practice viloma breath/breath with pauses, nadi shodhana breath/alternate nostril breathing, kapalabhati breath/skull shining heating breath and shitali breath/cooling breath. Practice gentle yoga postures that are appropriate for pre pranayama practice. 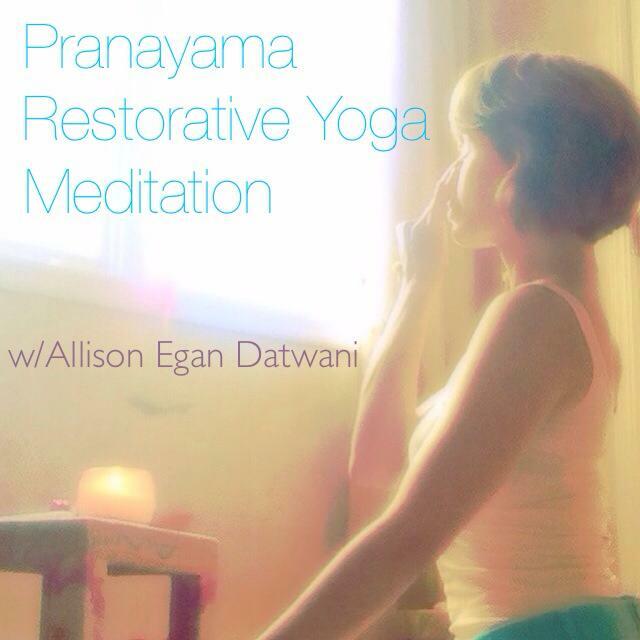 Sit in meditative stillness post pranayama practice to feel and integrate its effects. End in restorative yoga postures followed by savasana/final relaxation pose to rejuvenate yourself for the weekend ahead. Please drop in or pre register at www.bamboomovesyoga.com Palisades Park, NJ. If you're interested in reading more about breath exercises please search Pranayama along my blog's right side bar and click into pranayama for more on this topic. I remember sometime ago in my twenties watching my yoga teacher peacefully reach her arms overhead and ease her feet towards her head while on her belly in bow pose. Mesmerized by her graceful control I wondered how she got there and is it worth it? Two decades have gone by since then and only now do I understand how she got there and yes, it is very much worth it whether your feet touch your head or not. Yoga is a lifestyle meaning it is something you repeatedly do. It is not an act but rather a habit to get up and practice both on and off the mat. For about two decades as I patiently held a yoga strap to my feet in bow pose it magically slipped off and I could touch my feet and breathe easy as well as have the ability to greet that person who has played a role to hurt me greatly in the past with a smile and actually mean it. Yoga takes time, trust and plenty of practice. The results from what I can see are worth it. So what concerns me most about teaching yoga is observing the fear of yoga in my students mixed with the I can't make the time for myself comments. What I have noticed and look forward to seeing in every student including myself is that with a committed practice undoubtedly transformation and peace will prevail.